"Cheap grace is the mortal enemy of our church. Our struggle today is for costly grace." And with that sharp warning to his own church, which was engaged in bitter conflict with the official nazified state church, Dietrich Bonhoeffer began his book Discipleship (formerly entitled The Cost of Discipleship). Originally published in 1937, it soon became a classic exposition of what it means to follow Christ in a modern world beset by a dangerous and criminal government. At its center stands an interpretation of the Sermon on the Mount: what Jesus demanded of his followersand how the life of discipleship is to be continued in all ages of the post- resurrection church. "Every call of Jesus is a call to death," Bonhoeffer wrote. His own life ended in martyrdom on April 9, 1945. Freshly translated from the German critical edition, Discipleship provides a more accurate rendering of the text and extensive aids and commentary to clarify the meaning, context, and reception of this work and its attempt to resist the Nazi ideology then infecting German Christian churches. 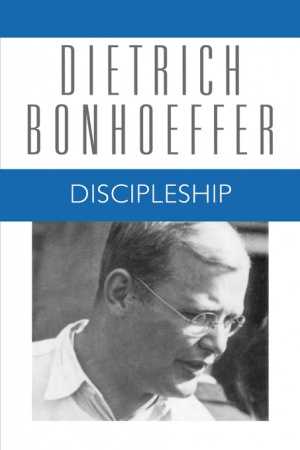 Discipleship by Dietrich Bonhoeffer was published by Augsburg Fortress Publishers in May 2003 and is our 8417th best seller. The ISBN for Discipleship is 9780800683245. Be the first to review Discipleship! Got a question? No problem! Just click here to ask us about Discipleship.